There are many available; the best option for you will depend on how much you spend and how much you travel. Our pick for light spenders is the American Express Airpoints Card, which has no annual fees and earns a reasonable A$1 for every $100 spent. AMEX is increasingly accepted throughout New Zealand, but you won't be able to use it everywhere. Many cards offer perks such as Koru club vouchers, status points and free travel insurance - we believe the best card for families and medium to high spenders is the Kiwibank Air New Zealand Airpoints Platinum Mastercard. What is the appeal of an Air New Zealand credit card? Air New Zealand credit cards allow you to save big on flights around the country and even around the world just by using your credit card when you pay for stuff. There are a lot of decent credit cards earning Airpoints, and many have perks such as Koru Club vouchers, status points, Airpoints in advance allowances and partner cards. It’s easy to earn – you will get Airpoints Dollars as soon as you spend, not when you fly, and if you catch a good signup offer you can save on fees and get more rewards. Because flying is somewhat of a national pastime, Airpoints earning credit card have wide appeal. However, due to the annual fees on most cards, this guide is best for those who spend at least $10,000 on their credit cards every year. 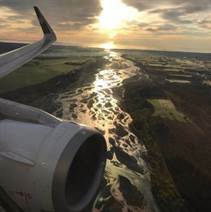 ​This is a complete guide to the best Air New Zealand credit cards, how to use them, bolster up your Airpoints Dollars balances and enjoy the benefits safely by picking the best card for your needs. If you would like to share any tips or insights from your personal experience, please email our research team. If you struggle to pay off a credit card, look at a low-interest credit card or a balance transfer credit card (if you have credit card debt) as this is a far better option to crunch your debts. If this isn't an issue, you can maximise your earning potential by using your credit card for everything you can, replacing your use of debit cards, credit cards, cheques and cash where possible. Just be aware of your monthly budget, spend in line with your finances and set up a direct debit to take care of the bill. If you incur workplace expenses, ask if it’s possible to use your credit card. You can combine any Airpoints you earn from spending on a credit card with Airpoints accrued from flying or shopping with an Air New Zealand partner such as New World or Harvey Norman. Airpoints go into one account either during the transaction (retail partners) or at the end of the month (when your credit card billing cycle ends). Best of all, you can pay for retail partner purchases with a credit card, effectively earning the maximum Airpoints possible. When you've collected enough Airpoints, you can redeem awards on the Air New Zealand shop or book a flight. You can also use them for any grabaseat offer. However, international flights have a tax and security fee component which needs to be paid with cash. As you’re applying for a credit card, your credit score and ability to make repayments is important. Generally, most cards will be easy to obtain to anyone earning above $30,000 with good finances and 1 or 2 other credit cards. If that's not you then don't apply, as rejected applications can affect your credit score negatively. Our guide to credit score and credit checks explains everything in detail. Higher spenders earn more points, but also reap more rewards such as Koru vouchers and status credits. As long as you spend enough to cover the annual fee (as we outline below in our "best cards" selections), those cards would be suitable. If not, look at cashback credit cards. Taking money out on your card charges you interest and it won't earn you Airpoints. Complimentary overseas travel insurance (as long as you use the credit card when paying for one item of travel). Every $200 spent earns 1 status point, which assists reaching Silver, Gold and Gold Elite tier levels. If you spend $45,000 in one year, you’ll earn 225 Status points which are half the points you’ll need to reach Silver. ​We consider this the best card for a number of purposes. Being a Mastercard, it’s widely accepted. Even though it earns less Airpoints than the AMEX Platinum ($1 per $75 spend vs $1 per $59 spend), the difference in Airpoints Dollars earned is less than $200 on annual spend up to $50,000. Packed with the highest status credit earn rate, Koru voucher earning and a reasonable annual fee, we have not identified a more suitable card for multiple purposes. ​The interest rate is 20.95% p.a. There is an annual fee of $150, but promotions throughout the year have it waived for the first year. To earn the equivalent of $150 in Airpoints, you’ll need to spend $11,250 per year. Taxes and levies on flights are additional, and you’ll need to pay them separately when you book a reward flight. The card is a Mastercard, which like VISA is widely accepted in New Zealand and around the world. Pay the balance every month to maximise the reward benefits – any late payments and interest charges will diminish your gains. The Airpoints earned do not expire, and can be shared using Sharepoints with anyone living at the same address. 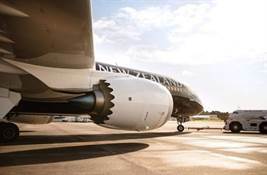 Half of the tier points required for Silver and Gold must be generated from flying on Air New Zealand or partner airlines. Every $250 spent earns 1 status point, which assists reaching Silver, Gold and Gold Elite tier levels. If you spend $56,250 in one year, you’ll earn 225 Status points which are half the points you’ll need to reach Silver. You'll need to spend $10,875 to earn enough Airpoints to break even on the $145 annual fee. The interest rate is 20.95% p.a. Every $75 you spend earns $A1, and $50 spent on Air New Zealand travel earns $A1. There is an annual fee of $145, but promotions throughout the year have waived it for the first year. To cover the $145 fee with Airpoints, you’ll need to spend $10,875 per year to breakeven. All Airpoints Dollars earned by your business will never expire while you have an ANZ Visa Business Airpoints card account. Cardholders don't pay a Koru Club joining fee (valued at $255) and receive a discount of $145 off the standard 12-month individual Koru membership fee for all principals working at the business. The card is a VISA, which like Mastercard is widely accepted in New Zealand and around the world. Pay the balance every month to maximise the reward benefits – any late payments and interest charges will reduce your gains. Complimentary New Zealand overseas travel insurance (as long as you use the credit card when paying for one item of travel). Earn Membership reward points, which convert to Airpoints Dollars. 100 Membership Rewards ("'MRP') points = 1 Airpoint Dollar. Bonus Membership Reward Points per $1 spent earns 3 MRP (when at major supermarkets), 2 MRP (when at major petrol stations) and 1 MRP on all other purchases. The interest rate is 19.95% p.a. To cover the $149 with Airpoints, you’ll need to use the complementary flight or spend at least $14,900 on non-supermarket and petrol purchases. When taking into account the earning deals from the retail partners listed above, the spend comes down considerably. There is no supplementary card annual fee. Taxes and levies on flights are additional, and you’ll need to pay them separately when you book a reward flight (excluding the annual direct return flight). Pay the balance every month to maximise the reward benefits – any late payments and interest charges will destroy your gains. The card is an AMEX, which has some limitations in where it is accepted (compared to Mastercard and VISA). Airpoints do not appear monthly; manual transfers are required via the American Express website. The Membership Rewards Points Airpoints earned do not expire, but converting them to Airpoints gives them a life of 4 years from when they appear on your Airpoints account. The balance once converted can be shared using Sharepoints with anyone living at the same address. No Status points for Silver, Gold and Gold Elite are earned on this card. A minimum income of $50,000 is required to apply for the card. The only No Fee option to earn Airpoints Dollars. A reasonable earning rate of 1 Airpoint per $100 spent, but you'll need to spend $2,000 to transfer them to Airpoints. The Airpoints earned expire after four years, but can be shared using Sharepoints with anyone living at the same address. ​Requires a hefty $4,000 spend to break even on the annual fee, meaning a Cashback credit card may be more suitable. The interest rate is 16.90% p.a. There is an annual fee of $25, but promotions throughout the year have waived it in year 1. To cover the $25 with Airpoints, you’ll need to spend $4,000 per year to breakeven. I fly more than just Air New Zealand. Are there credit cards for other airlines? Yes. Any American Express card earns points in their own program, Membership Rewards®, whereby you can convert points into programs with Air New Zealand, Cathay Pacific, Emirates, Malaysia Airlines, Qantas and Virgin Australia. For most Kiwis, an Air New Zealand affiliated credit card is the most suitable choice. Can I have an additional cardholder in my account to boost Airpoints? Yes – all expenditure goes onto the same bill. Additional cards cost between $0 and $30 per year. See our best buys below for more details. Can I buy extra Airpoints? No - to redeem an award flight, you will need to have at least the required balance of Airpoints unless you use Air New Zealand's Flexipay option. Can I link my credit card to PayPal? Yes. If you shop online, using PayPal is a popular method of payment. Read our PayPal fee page to minimize the fees you’ll pay while maximising your Airpoints. Are Mastercard and VISA more accepted than AMEX in New Zealand? Generally, the answer is yes. Many Kiwi retailers don’t accept AMEX due to the higher fees it charges them. The Airpoints earning rates may be higher, but that’s secondary if you can’t use the card at your local café etc. However, AMEX helpfully lists all the retailers accepting their card, and it covers major supermarkets, petrol stations and more. Do I need to fly Air New Zealand to use the Airpoints Dollars? No. 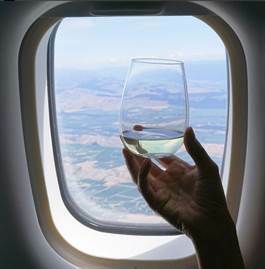 You can use them on partner airlines or a range of non-travel awards, such as wine and gifts. Visit the Airpoints store. Do I need to bank with the issuer of the credit card? No. You can apply for a credit card with any bank and it doesn’t matter whether you are a customer or not.